Rajeev's World: Can Terror Limit Africa's Potential? If India gave the world chicken tikka masala in the 1980s, South Africa has given the world, its Vuvuzelas in 2010. 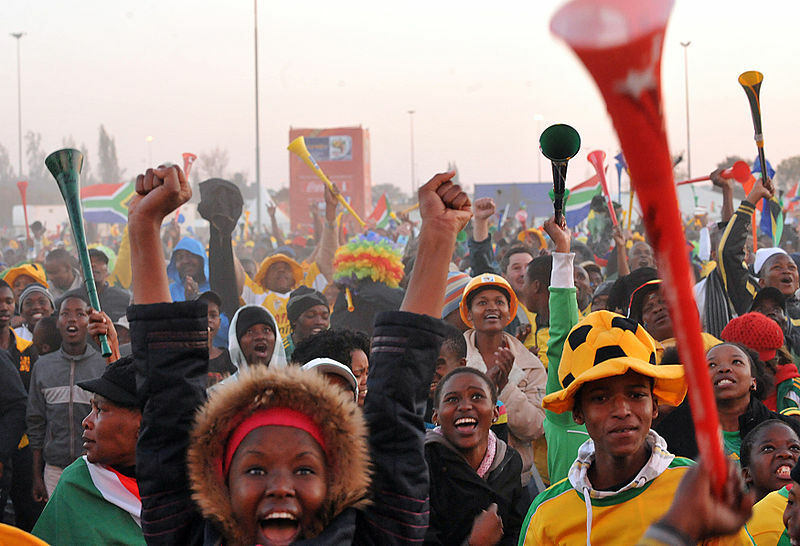 South Africa's potential goes beyond the cultural influences like the Vuvuzela. South Africa's potential has been showcased in the FIFA World Cup. Sceptics were livid at South Africa's bid, but Archbishop Desmond Tutu and Nelson Mandela's charm and international goodwill saw it through, though governance and effective administration did play their parts well. And if South Africa has done it, the rest of Africa will follow, in a few years. Increasingly I am getting coinvinced that Africa is the future, the growth engine of the world after India and China. I recall meeting a seasoned senior telecom executive who did remark that Africa is the direction Indian firms will be increasingly taking. Ten years back people would have laughed at that comment. But today, Africa is emerging as a preferred location, as has been reported about Bharti Airtel. But the bombings in Kampala, Uganda prove that Africa is not immune to global and homegrown terror emanating from fundamentalist hotbeds like Sudan and Somalia. Uganda, which has been an oasis of peace, so far, shining brightly as the pearl of Africa, was ravaged by a blast at an Ethiopian restaurant, while the World Cup final was on. Will the potential of Africa be limited by the tentacles of Islamic terror, I hope not. For a Ugandan by birth, I can only pray and wish for the very best for my motherland!